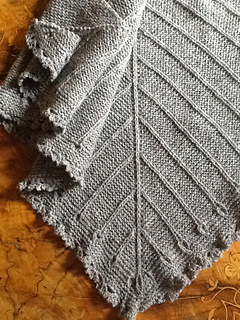 Vedbaek is a real comfort knit knitted in a lofty 4-ply yarn. 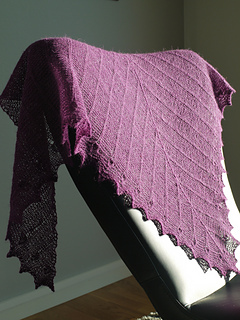 Despite looking complex, the shawl is at its heart a simple, rhythmic knit designed to give you comfort both during its making and afterwards. 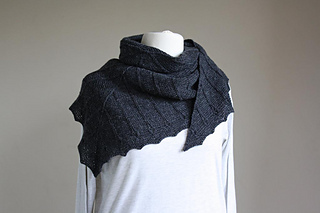 When I began designing the Vedbaek shawl, I started by reading a lot about the Mesolithic finds of Bøgebakken, a site within the small seaside town of Vedbæk, Denmark. The finds revealed continuous settlements and a sense of generations passing their lives in one place. I wanted to design something that spoke of people whose lives were inextricably tied to the sea and the rhythms of nature. 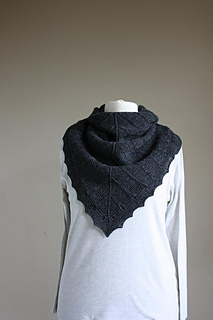 The Vedbaek shawl is part of the Doggerland: Knits from a Lost Landscape collection. Doggerland consists of 8 patterns and is a collection of accessories inspired by a submerged landscape between Scandinavia and the UK. The collection uses motifs commonly found on artefacts from the Middle Stone Age and seeks to take you on a journey through landscapes of your own.